Buy JUMPCUT ONLINE a Coffee. ko-fi.com/jumpcutonline - Ko-fi ❤️ Where creators get paid by fans, with a 'Buy Me a Coffee' button. 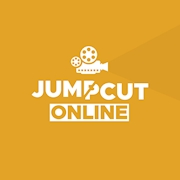 JUMPCUT ONLINE was founded in 2015, and has since become a growing platform for budding writers and film fans from across the globe to share their thoughts and opinions on all things film. Our aim has always been to deliver original and interesting content for our readers, and to build an inclusive community for friendly film discussion. JUMPCUT ONLINE was created back in 2015 by two friends with an intense passion for film. Now, our team currently consists of around 20 incredibly talented writers who volunteer their time and energy to create amazing content for us; including reviews, news articles, think pieces and box office reports. But this is just the start of the JUMPCUT journey! We've made the decision to create a Ko-fi in the hopes of raising a small amount of funds to help improve our website and services to provide an even better platform for our writers, readers, and followers. We'd also really love to actually buy our team a coffee sometime too. The hard work the whole team puts in to JUMPCUT always makes us feel incredibly lucky, and we'd really love to be able to reward our writers in some way, as a small token of our appreciation for what they bring to JUMPCUT. And, more importantly, we aspire to offer our audience fresh and exciting content, through exploring new mediums and services. Your donations can go a long way to helping JUMPCUT ONLINE do great things. If you do support us with a donation then we can't thank you enough, but be sure to leave your Twitter handle in your message of support so we can give you a shoutout for being so awesome. Secured Payments. Support goes to JUMPCUT ONLINE's account. Upgrade JUMPCUT ONLINE to a yearly Gold Membership with a one-time payment.